Beautiful one level home in lower Pioneer. Home features an open floor plan with lots of windows to enjoy the wonderful view and manicured yard, spacious kitchen with large island and granite counter tops, heated tile floors throughout the house and master bedroom with slider to private deck. 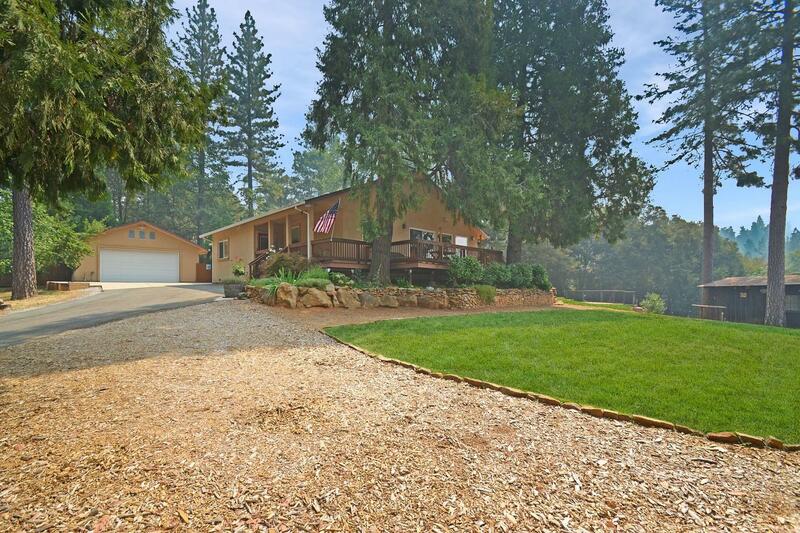 Outside has covered porch, decks, stone patio, lawn, gas fire feature, fenced dog area, separate gated area for RV with full hook ups, heated 2 car garage with bathroom and so much more. A Must See.